This one of a kind knife and sheath will be up for auction February 18 at the Tennessee Winter Beer Festival. The proceeds from this auction will go to New Hope Blount County Children’s Advocacy Center. Be sure to bid on this knife if you are at the TN Winter Beer Festival. 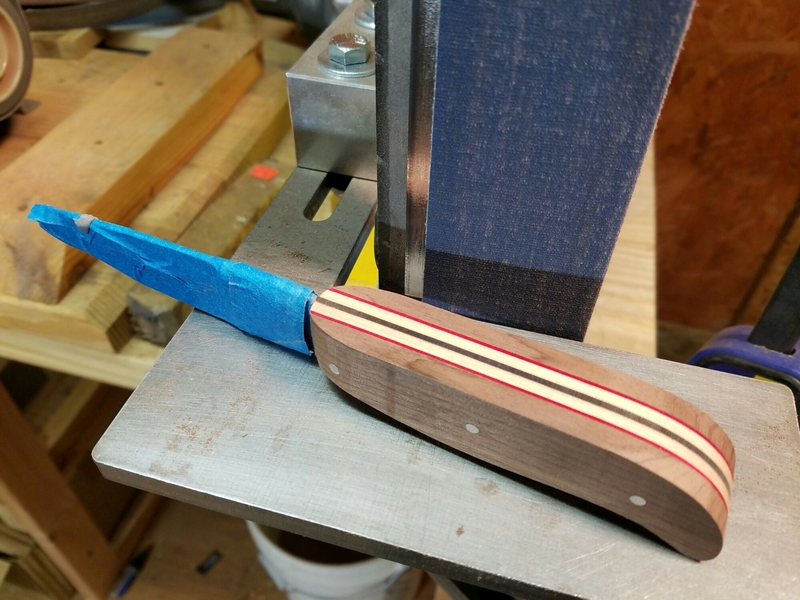 This knife began life many years ago as an Old Hickory Slicing Knife. As a camp food preparation knife it saw lots of use. 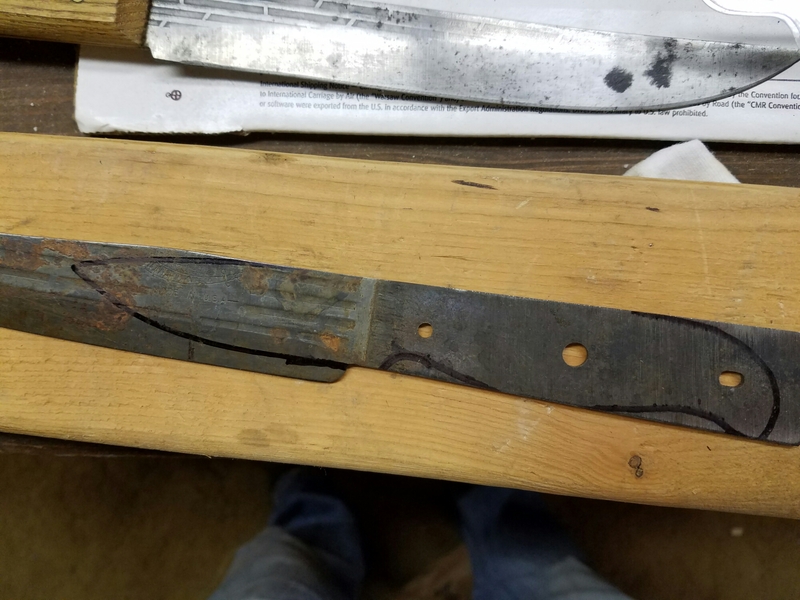 It made its way to me a few years ago in a big box of knives I received from my Father In-Law. 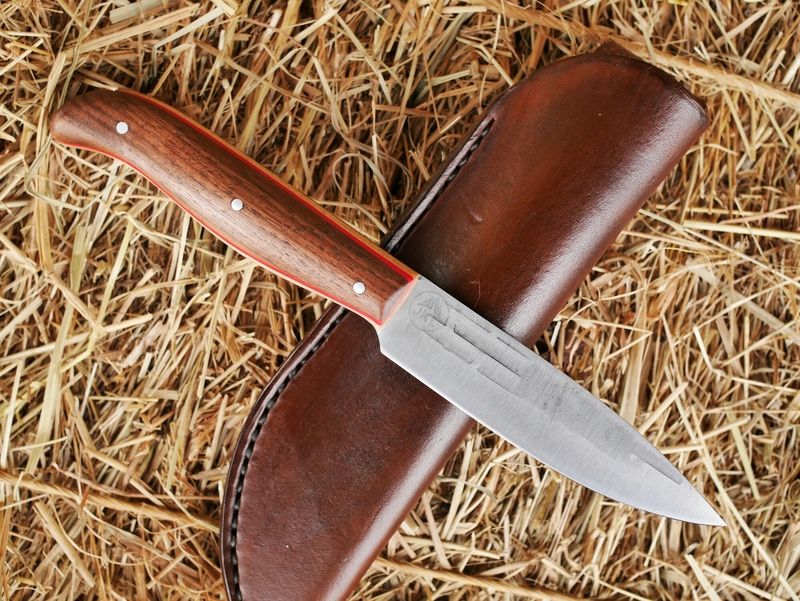 Old Hickory Cutlery uses 1095 High Carbon steel, making them excellent for camping and hunting. They are easy to sharpen and take a keen edge. To start I reprofiled the knife and ground new convex bevels. I then added a set of custom scales made from Silver Maple, red vulcanized liners and Black Walnut. The Walnut logs were given to me by my Uncle. They sat in his garage for 30 years waiting for a project that never came. This knife seems like the perfect use for them. The handle scales have a comfortable contour common to Bushcraft knives. This knife is now ready for another lifetime of service. I made the sheath using heavy vegetable tanned tooling leather. 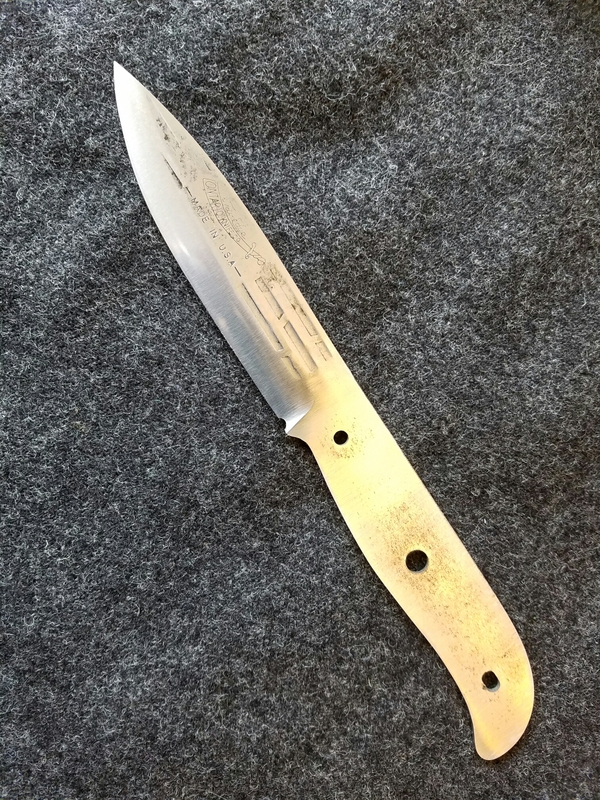 If you are at the 2017 Tennessee Winter Beer Festival in Townsend Tennessee on February 18 be sure to bid on this one of a kind knife made by Jeremy Longmire. Looks really good Jeremy. Knicely done!